Recreational cannabis users have much to be happy about. Because of the success of the medical cannabis industry in Nevada, this herb might be legalized for recreational use in the very near future. How soon are we talking? 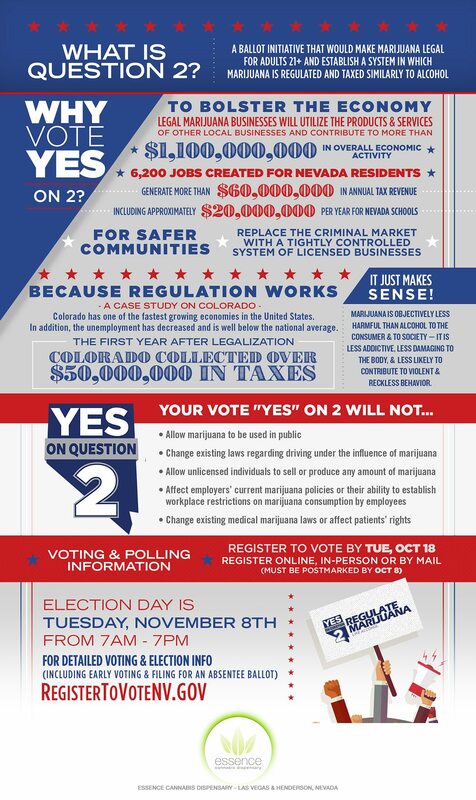 Question 2 – the initiative to legalize the use recreational marijuana – will be on the 2016 ballot so that Nevada voters can make the choice for themselves. How’d it get on the 2016 ballot? The initiative passed because it received enough signatures to bring the proposed law in front of the state legislature. In fact, it was reported that there were approximately 200,000 signatures more on the initiative than the required 102,000 needed for review. After taking a look at the proposal, the state legislature decided that they would pass the choice along to the voters by putting in on the upcoming 2016 ballot. Although Question 2 calls for the legalization of cannabis, similarly to alcohol, it would not be without its regulations. For instance, if the law passed, it would let adults (in this scenario those age 21 years and older) to have up to one ounce of marijuana in their possession for private use. If residents vote yes for Question 2 in the upcoming election, it would make Nevada the fifth state (and sixth location) to legalize the use of recreational marijuana in the United States. As of right now, cannabis is legalized for possession and recreational use in the Nation’s Capital and the states of Washington, Oregon, Colorado, and Alaska. Many are expecting a positive outcome come election day. For instance, the majority of local business owners believe that voters will vote “yes” on Question 2. Generally, it is believed that legalizing recreational marijuana in Nevada will have a positive effect. 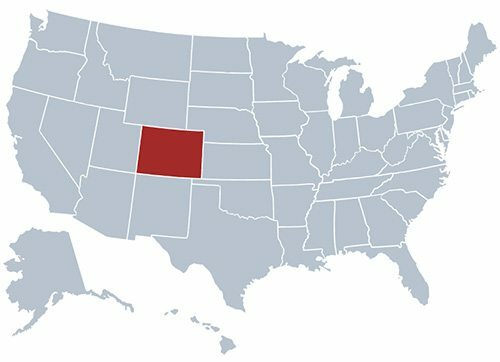 All you have to do is look at Colorado’s economy to see how – in 2015 alone, the state collected over $85 million in tax revenues from cannabis alone. Question 2 places a 15% excise wholesale tax on marijuana, which would go to the school system – an incredible boon to the local community. But, that’s not all, the legalization of recreational cannabis will create opportunities for both tourism and existing businesses. Medical cannabis dispensaries, in particular, are in the perfect position to take advantage of this legalization. Furthermore, we can expect the tourism industry to benefit as well. People are already traveling to states where recreational cannabis use has been legalized in order to go on tours and take part in the local industry. And because of cities like Vegas and its existing (and very popular) tourist attractions – think their casinos, bars, shows, conventions, and their premiere club scene – recreational cannabis will be yet another feature that attracts tourists and boosts the local economy. Furthermore, not only would the legalization of cannabis for recreational use make money for the state, it would help Nevada save money as well. How is this possible? As of right now, the US spends about $78 billion every year on marijuana prohibition efforts. Voting yes on Question 2 would significantly reduce the money that the state has to spend on cannabis enforcement and prosecution. Based on the information listed above, cannabis may be legalized for recreational use following the Fall 2016 vote. If this does happen, Nevada’s cannabis industry can expect to see a boost in both profits and customer bases. This is especially true since medical marijuana dispensaries like Essence are well equipped to both handle any legal changes that may occur in the next few months and educate the influx of new customers that they are sure to see. Where do you stand on Question 2? Let us know in the comments below.